Homeschool scheduling can be one of the most stressful times in a homeschool mom’s life. This can be especially true in the early years of home education, and perhaps also during the high school years. The stress comes from being worried about getting it right coupled with a lack of confidence in one’s own ability to balance education, especially when the mom isn’t a trained educator. Add to that trying to fit in all the subjects, and all the extras for every child in the family and you’re setting yourself up for needless worry. The biggest obstacles we need to overcome are our own insecurities as well as our belief that homeschooling needs to look and act like school at home. Homeschooling doesn’t, and shouldn’t, look like a typical educational setting with pretty little desks all in a row as a teacher goes over the day’s lesson and students sit with a pencil to paper diligently working. Honestly, does public school really look like that? We’ve left that system of education because we believe, for whatever reason, that model won’t work for our children. So why then do we want to mimic that model in our homeschools? The reality is, the best way to schedule homeschool is to determine what works best for your own family and doing that. It can look and work like whatever you want it to look like. Since no two families look or function in the same way, no two homeschools will work or function in the same way. But, you can take ideas that others use in their school and incorporate those into your planning system to create your own unique way to schedule homeschool. This article offers ideas for ways to schedule your homeschool. You’ll discover different methods, different planning styles that can help you to find what works for you. Maybe you’ll take a part of an idea from one of these and couple it with another part to develop your own unique method to schedule your homeschool. By developing a weekly, or daily routine, you can remove the pressure of completing work in a specific hour or time-frame. In fact, with this type of schedule, you can remove hourly segments altogether. Decide which days you will work on which subjects with a general time of day for that subject. Perhaps, you work on science on Tuesday and Thursday mornings. So before lunch on those days you focus on doing as much science as possible. The time constraint isn’t as burdensome, because you know you can do a lot in 2 or 3 hours on Tuesday, and another 2 or 3 hours on Thursday. That means for just those 2 days you complete 4 to 6 hours worth of work within the one subject. Continue developing a routine for other subjects until you feel that you are able to complete all of the subjects you plan to cover in an academic year. Maybe 5-day homeschooling isn’t for you. Some moms do work outside the home in a part-time job. Or, she’s got a weekly appointment for herself or the child that keeps her on the go. By planning a 4 day week you free up an entire day to accomplish things that happen outside the home. This even creates time in your family’s overall schedule to incorporate field-trips, co-ops, and other outsourced classes. To do a 4 day school week, you can choose which days work best. Maybe it’s Tuesday through Friday, or Monday through Thursday. Or, it could be that you need Wednesday through Saturday to work for your family. You could even split it and do Monday & Tuesday and Thursday and Friday, leaving Wednesday as a day to schedule appointments or attend co-op. From there, simply decide which days you’ll tackle which subjects, and develop a schedule for yourself and your kids to follow to accomplish the work. Some homeschoolers start the year by setting goals. They decide what they want to accomplish within a given year. They determine the hours necessary for both state requirements, as well as the time it takes to complete work, and they work backward on their schedule to plan out what weeks to take off for family time, and holiday time. After having a layout of their overall scheduled plan, they can break down what they want to accomplish each month. From there they can plan what they want to do each week to accomplish set goals. One potential pitfall of planning out your entire year is when unexpected events occur which through the schedule off-kilter. Mom’s may be left feeling behind when really they simply need to adjust their goals to fit their plans into the time allotted. If you like having an hour-by-hour schedule to keep things running smoothly, you can totally do that in homeschooling. Simple plan out a given schedule for the day. Determine what your children will be doing for each hour of the day. Then, set a timer, as you work, and keep the day moving along. Your children will learn over time how to transition from hour to hour and develop very good organizational skills. Another way to schedule your homeschool is to set goals. Set annual, monthly, weekly goals. But allow your children to figure out how to accomplish those goals in a time-frame that works best for them. This works well with older children who are independent learners. It also helps to prepare them for college, or career by helping them to self-manage their time, as well as balance workflows as they juggle multiple subjects and lessons. Of course, you need to check in on work, and lessons to ensure they are working toward accomplishing those goals. If you find they are lagging, you help them to adjust their plans to meet their goal deadlines. For younger children, you can still use goal setting to schedule homeschooling only you control the time-management and adjust as necessary to accomplish goals. Rather than working with a big picture goal. You can track each day what you accomplish. This is how many eclectic and unschooling families track their child’s education. At the end of the day or week, mom’s write out the things accomplished. They list books that were read, math lessons completed or worked on, and sciences that were studied. This method works well with moms who focus on unit studies or do a monthly subject study. This type of homeschool scheduling can follow closely with how your local public school schedules their year. You begin at or near when the local schools do, take breaks when they do, and end the year when they do. One advantage to this type of scheduling is that if you have family members attending the school, or extended family that you make holiday and vacation plans with, you’ll be able to schedule your time off during the same time period; which will eliminate scheduling conflicts. Simply divide a 36-week academic year into two 18 week semesters. Then divide each semester into two 9 week quarters. From there you determine how much of each subject you want to accomplish within the 9 weeks, allowing you to end the subject at the end of the 36-week academic year. Maybe your family enjoys staying up and sleeping in. And forcing the entire family to wake up early to do school is proving to be a huge burden and no one is happy. Well, you don’t have to do that! You can start your homeschool day at whatever time works best. If that means starting lessons at 1 p.m. works better for your child, then do that. If your child’s brain seems to process better at 3 p.m. than it does at 10 a.m., then do that. When the kids were small, celebrating the end of the homeschool year might mean a pancake celebration or a trip to the local ice cream shop. When they pass the ripe old age of 13, they might not be quite as interested in the “fun” things you enjoyed as a family. It can be a difficult and surprising transition for the mom of a teen. Where’d that sweet faced child go off to? Not to worry! Here are ten ways your teens will enjoy celebrating the end of the homeschool year. If the idea of planning a big to-do isn’t your thing you can keep it easy-peasy. Any of the following ways can be great fun! Ask them how they’d like to celebrate. Keep in mind that you might get answers of “nothing” “I don’t know”, and “whatever.” However, it’s important to consider their wishes. If you end up with a reluctant celebrant, go ahead and honor that. You can choose a gift card to their favorite fast-food place as a little-something. Plan a teen game night with friends and other homeschoolers. Where there’s food to eat and games to be played, there’s a celebration. Seek out a service opportunity. This can be a great way to change a teen’s focus and maybe even spark a permanent interest in serving. Our family did ESL with displaced refugees and it sparked one daughter’s interest in teaching. Have a formal dinner. Invite grandparents if practical and eat somewhere that doesn’t have a dollar menu. Dress up! Make a scrapbook of memories from the year. Photos, drawings, ticket stubs, and any little momento has a story to tell. You could include a letter written by you sharing your pride over your teen’s year of work. Binge watch a favorite series. I mean, it is a celebration, right? You can visit PluggedIn for family-friendly reviews and age-appropriate movies for teens. Approach your church about hosting an event with other teens. A cake and punch evening with other families in your church can make a special event. Go summer clothes shopping. Give a budget for your teen to manage and let them start their summer searching for new board shorts or flip flops. Gift them a journal for summer writing. There’s nothing like the smell of fresh leather, or having a special place to keep track of the sure-to-be summer adventures. Join a summer book club. Or create a summer book list to and shop for your favorites with a day of bookstore browsing. Not listed above, but an important part of the end of the year, either as part of the celebrating, or as a way of honoring the year’s work, would be to create ways your teen can evaluate the year. What worked? What didn’t work? What needs to be done next year? This can be done by setting goals with your teen for the next year and looking ahead to college or college-prep. Our children grow so quickly, and while snapping pictures of them when they are small is second nature, you tend to not have as many of them as they are teens. Plan to have a professional photo taken at the end of each year. While this is normally done at the beginning of the school year in the public schools, why not do it when your schedule is less busy? However you might choose to end your year-celebration or reflection, we can all agree—we’ve earned our summer break! Did you know that Bright Ideas Press sponsors two children through Compassion International? Learn more about their countries below! India has one of the highest poverty rates in the world. Its climate has two seasons: rainy and otherwise. The rainy season is typically June through September. Our Compassion child, Chiin, lives in a hillside region with approximately 3,000 residents. The local language is Mizo, an Indian dialect. She lives with her father, who is sometimes employed as a farmer or laborer. An average income for day laborers in this area is about $22 a month. Some regional staples include chicken, beans, bananas, plantains, rice, fish, and potatoes. Chiin attends school and child development programs established by Compassion International. She enjoys playing with dolls and marbles when she isn’t doing her household chores, which include carrying water and cleaning. Chiin asks that we pray for her studies and her family. Burkina Faso is located in Northwestern Africa and is marginally larger than Colorado. The landlocked country has a tropical climate with a rainy season, which is typically May through September. Our Compassion child, Ornella, lives in a large community of approximately 17,000 residents. The local language is Dioula, an African dialect. Houses are usually constructed of dirt, cement, and corrugated tin. Ornella lives with her mother, who is sometimes employed. Like in Chiin’s region, an average income for a day laborer in this area is about $22 a month. Some regional staples include maize, guinea pig, fish, beef, goat, rice, and millet. Ornella will begin to attend school upon reaching the proper age. Currently, she attends child development programs established by Compassion International. When she isn’t running errands, Ornella enjoys playing with dolls and participating in group games. She asks that we pray for her studies and for her parents. Supporting a child through Compassion International is an investment in that child’s life. Opportunities and development otherwise not available to children in these countries is provided through this organization and through your sponsorship. For more information or to sponsor a child, visit Compassion’s website at www.compassion.com. If you already sponsor a Compassion child, research their country and region in order to better relate to their lifestyle and to learn more about both human and scientific geography. 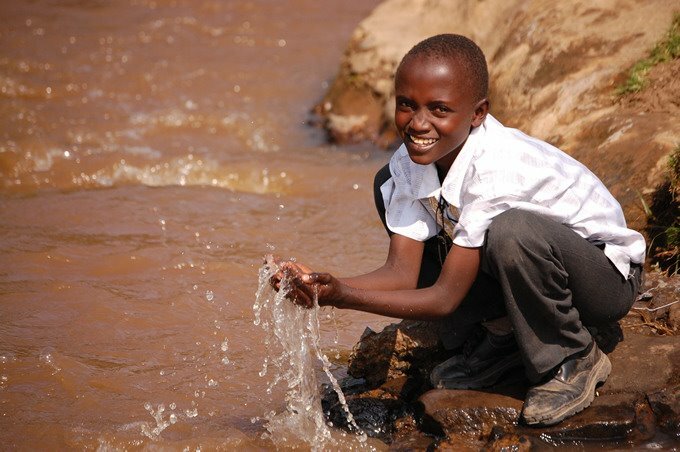 When you give to Compassion’s Water of Life, you are not only giving safe drinking water, you are protecting a child from life-threatening diseases and allowing that child to go to school, to dream and reach their full potential. Make a purchase at Bright Ideas Press today through August 25, and 20% of the gross sale amount will go towards the Water of Life campaign, hosted by Compassion International. For more information on the Water of Life, watch the video below and visit Compassion International. Compassion International – Water of Life from Compassion International on Vimeo. We are so appreciative of all the kind comments and messages from so many of you the last couple of weeks. We are honored to be a part of such a great community and are honored to have you a part of the Bright Ideas Press family. As part of our birthday celebration, join us Tuesday, August 21, at 9PM EST for a Twitter party – full of prizes and more. 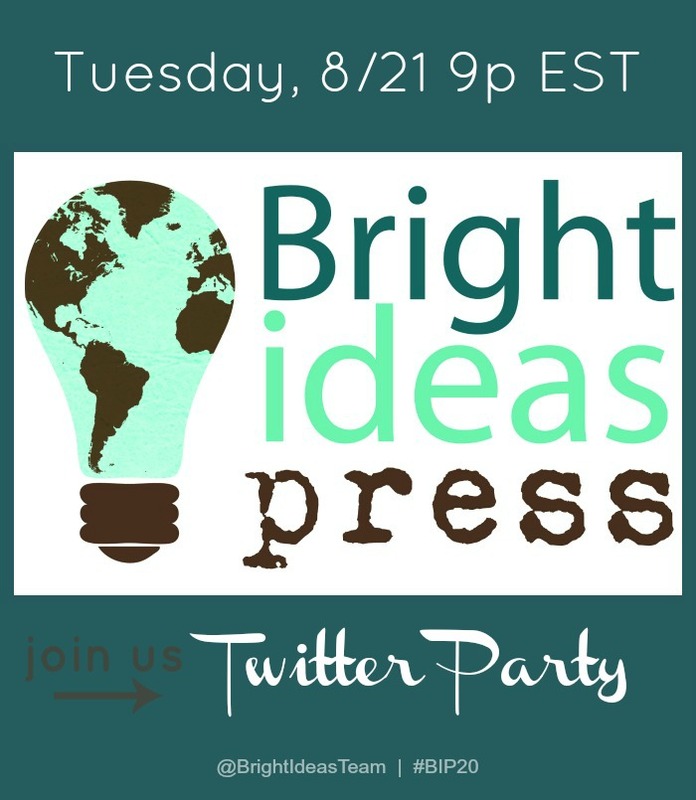 Follow @BrightIdeasTeam and the hash tag #BIP20 to join the fun. Not familiar with a Twitter party? Amy has a great post just for you. In the meantime, don’t forget about all the many coupons throughout the month. How many of you are searching for a history curriculum? Are you new to The Mystery of History? The Mystery of History was authored by the beloved Linda Hobar, a homeschool mother of three with 17 years of homeschooling experience. The title reveals her heart, which is that the “mystery” of the Gospel of Jesus Christ would be made known, better understood, and more deeply appreciated through the knowledge of God’s hand in world history. Linda weaves Biblical history so beautifully into secular world history that they can easily be seen as one story—not two. As you study this book, you will experience many “Ah hah!” moments as you see the big picture of God revealing Himself. The Mystery of History is everything a family needs for teaching history with a strong Biblical worldview. Multi-age activities, book and video lists, timeline suggestions, quizzes and map work are all included in The Mystery of History. Additional supplements such as folderbooks and coloring pages are also offered. In its ninth year of circulation, The Mystery of History has been chosen by Cathy Duffy as one of the “100 Top Picks”; it has tied for first place for Mary Pride’s “Practical Homeschooling Reader Awards”; and received “the Excellence Award” from The Old Schoolhouse.